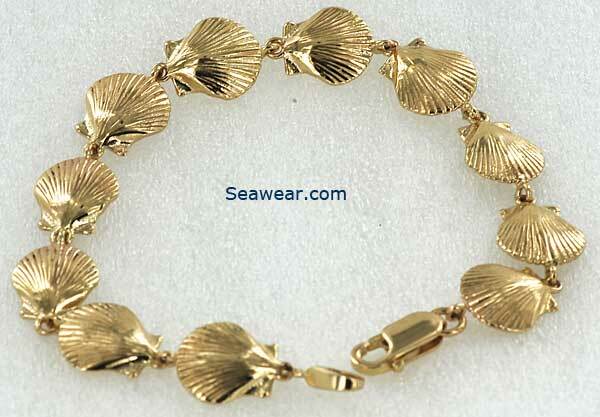 Clam shell bracelet that is 7.5" long with 14 ridged clam shells. Each shell is 3/8" wide and tall, dainty light at 9.8gms The detailed ridges catch the light and sparkle. 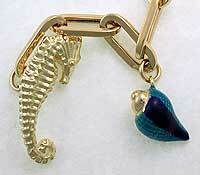 Solid 14kt lobster claw clasp. 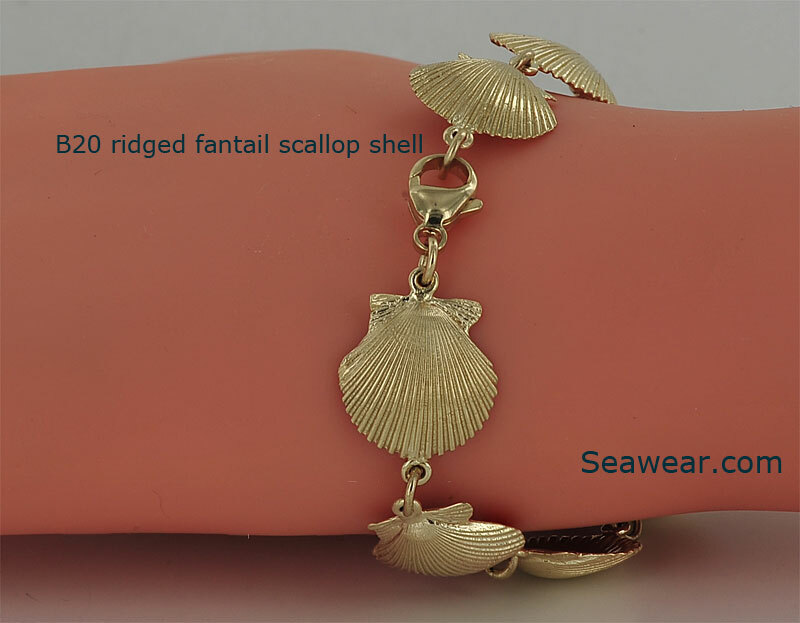 Fantail scallop shell bracelet. 7.5" long, ten individual fantail scallop shells, app 15gms Each shell is 14mm wide or almost 9/16"
Ridged fantail scallop shell bracelet of eight links, 5/8" or 15mm wide. Total length is 7 3/4" and weighs app 22.2gms. Heavy gauge wire jump rings connecting each shell with premium tear drop clasp that lays flat on the wrist. Molded from actual scallop shell from Florida beach. 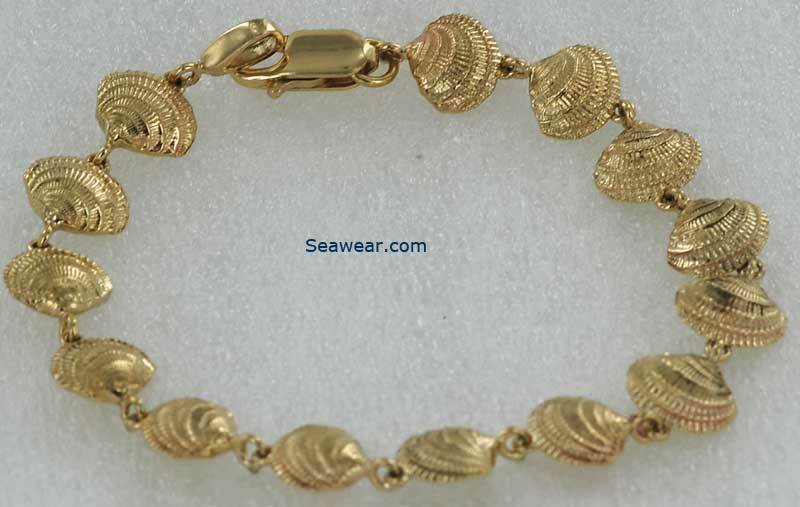 Ridged fantail scallop shell bracelet with with eight shell links. 5/8" or 15mm wide. Total length is 7 3/4" and weighs app 19.4gms. Heavy gold wire connecting links, upgraded tear-drop lobster clasp timed to lay flat on the writs. Actual shell found on the beach in Florida.